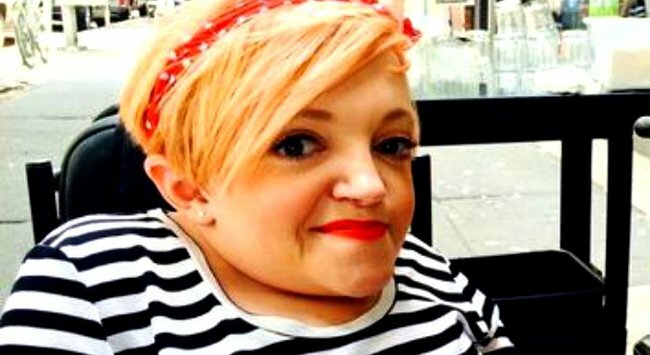 Diary of a colour change: "I wanted to feel like a rainbow Paddle Pop"
UPDATE 9.12: We’re so saddened by the news of Stella Young’s death. 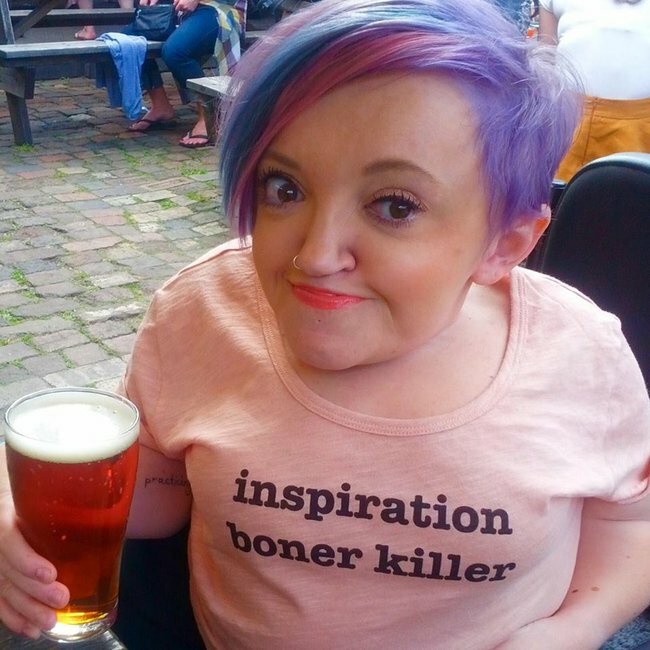 We’re leaving this post as a tribute to an articulate, hilarious, compassionate woman who had impeccable style (and incredible hair). 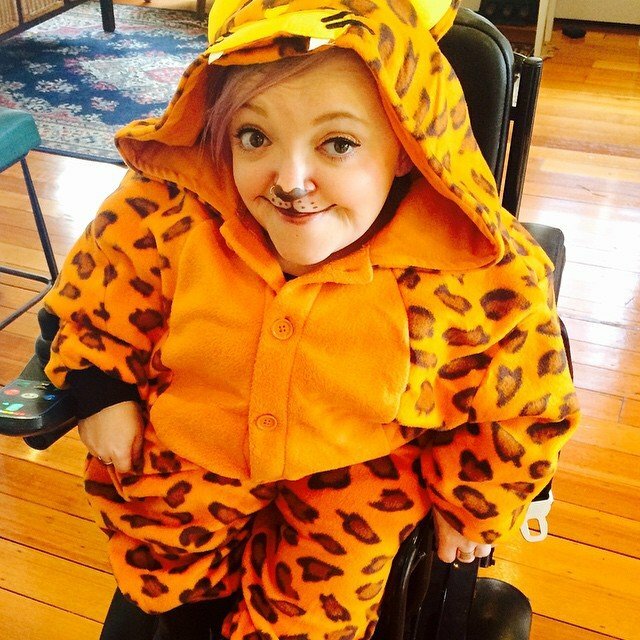 Writer, comedian and activist Stella Young is no stranger to crazy coloured hair, but her latest dye job may be her most impressive to date. 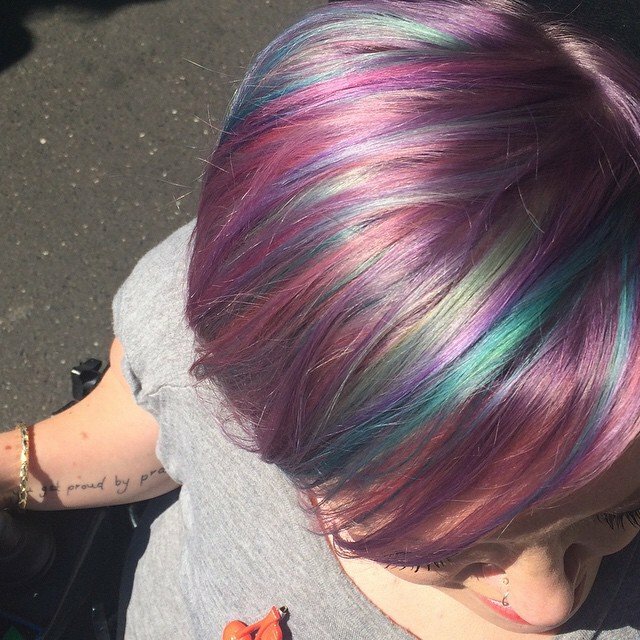 She went from a faded pinky-blonde to a rainbow-mermaid-streaks. We spoke to Stella and her colourist Karen Lewis about how the technicolour transformation came about, and what was involved. Do you change your hair regularly? Who is your hairdresser? How did you find them? How long was your hair in the style you had prior to this cut? “I haven’t had long hair since I was about 16. Once I cut it short I could never live with the daggy stages of growth long enough to grow it back. And really, I don’t think long hair suits me. I don’t have much of a neck, and long hair just accentuates that. I’ve played with different short styles over the years, but colour is where I have the most fun. What made you decide to make a big change? Have you had any major life changes lately? What sorts of things were you looking at to get inspiration for your hair transformation? I’d love to say that this was all my idea, but in fact I just told Karen I was open to change and she got really excited. I think partly because I grew up with a mum as a hairdresser, I’ve always seen hair as a tool for self expression. And it doesn’t have to be my expression. I was pretty happy to be Karen’s canvass! What images (if any) did you take to the hairdresser? How did you describe what you wanted to the hair dresser? "I told her I was definitely up for the lilac plan and I didn&apos;t mind what else she incorporated into it. It&apos;s fun to give hairdressers free reign sometimes! I was there for about four hours, which is completely fine with me. I love the trashy magazines and eavesdropping on the other clients!" How long did this transformation take? Stella started her appointment with a consultation between Mario of Fluff and myself. Mario and Stella discussed her haircut. From there Mario and I discussed the plans for colour and where length needed to be left within the haircut to make the colour work, while still giving Stella a functional and fashionable haircut, not just a great colour. From start to finish the process took about 4 hours. What is it about this new style that’s exciting for you? Major colour changes are my favourite thing to do, I love seeing how happy and shocked clients are after it. What sort of inspiration did you have in mind while you were doing Stella&apos;s hair? 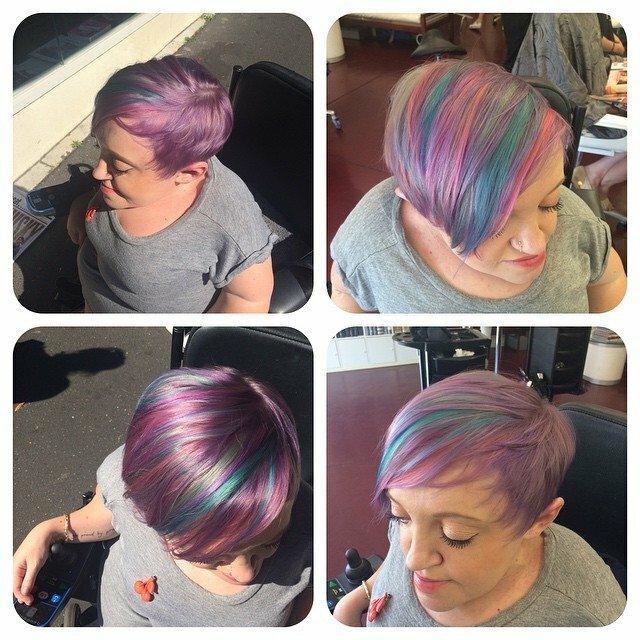 Stella is a confident chick with a bunch of attitude, which, in the hair dresser world, means she can wear any colour no matter how loud or especially unnatural it looks. I don&apos;t really follow hair trends too much, I tend to try and push clients&apos; boundaries a little with each colour appointment. 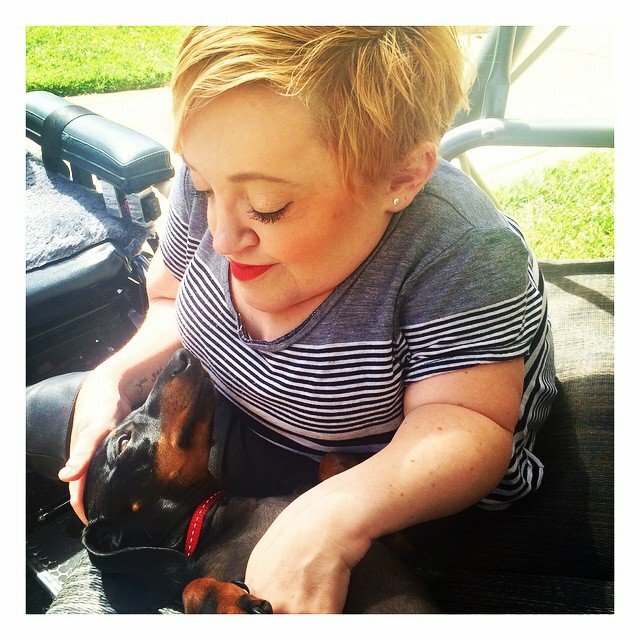 Stella was my inspiration; I wanted to give her a colour she had never had anything like before, that no other hair colourist could give her. I thought lilac would be fun and completely opposite to the vibrant copper she had been wearing previously. For the colour, we gently removed the copper pigment in order for the lilac to work. Because any decent hairdresser can make someone&apos;s hair plain ol&apos; lilac, I wanted to amp it up with other colours. From there I strategically placed some foils in custom-mixed pastel colours to give her hair more dimension; transforming the colour each way Stella swishes her hair. After the foils had been placed I applied the lilac and processed the colour. Did you do anything else special we need to know about?